Hayes LD, et al. Interactions of cortisol, testosterone, and resistance training: influence of circadian rhythms. Chronobiol Int. 2010 Jun;27(4):675-705. Wolff G, et al. 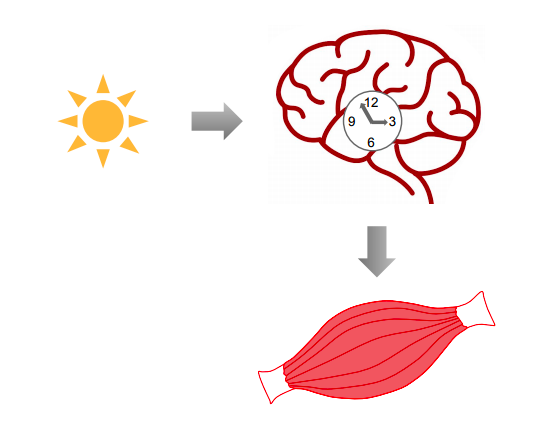 Scheduled exercise phase shifts the circadian clock in skeletal muscle. Med Sci Sports Exerc. 2012 Sep;44(9):1663-70. Aoyama S, et al. 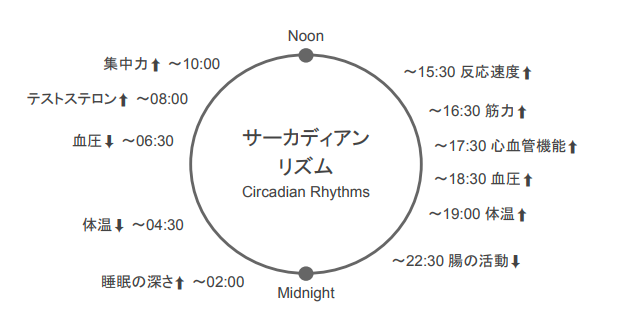 The Role of Circadian Rhythms in Muscular and Osseous Physiology and Their Regulation by Nutrition and Exercise. Front Neurosci. 2017 Feb 14;11:63. Sedliak M, et al. Effect of time-of-day-specific strength training on maximum strength and EMG activity of the leg extensors in men. 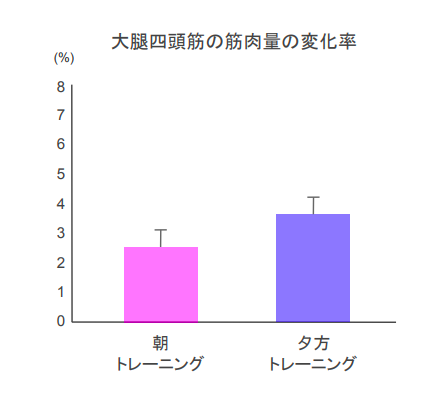 J Sports Sci. 2008 Aug;26(10):1005-14. Sedliak M, et al. 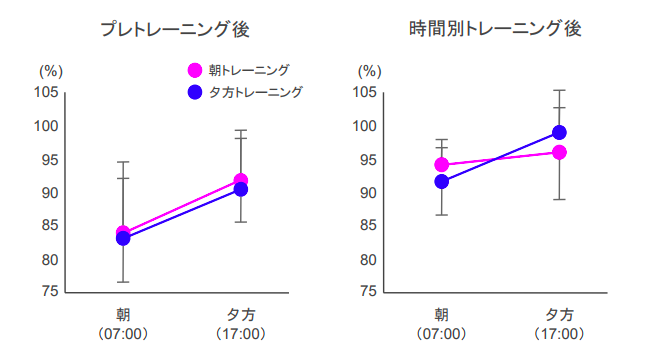 Effect of time-of-day-specific strength training on muscular hypertrophy in men. J Strength Cond Res. 2009 Dec;23(9):2451-7. Chtourou H, et al. The effect of training at the same time of day and tapering period on the diurnal variation of short exercise performances. J Strength Cond Res. 2012 Mar;26(3):697-708. Schroder EA, et al. 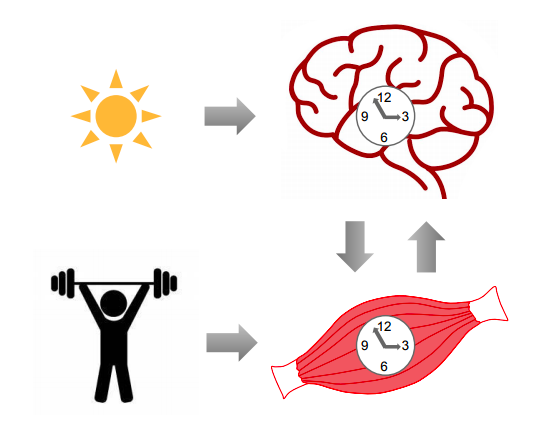 Circadian rhythms, skeletal muscle molecular clocks, and exercise. Exerc Sport Sci Rev. 2013 Oct;41(4):224-9.